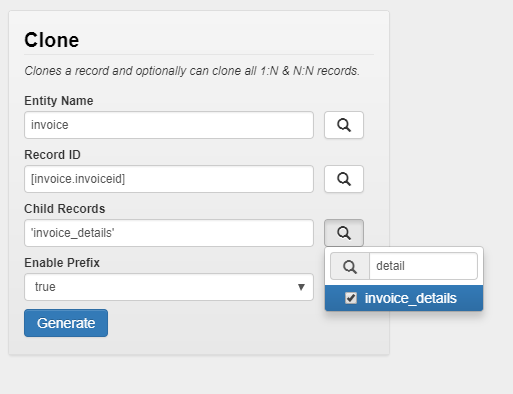 This business requirement needs us to provide a way to take a set of Invoices & associated line items and clone them on a monthly basis. The requirement was around a recurring billing scenario of services that the company provided. 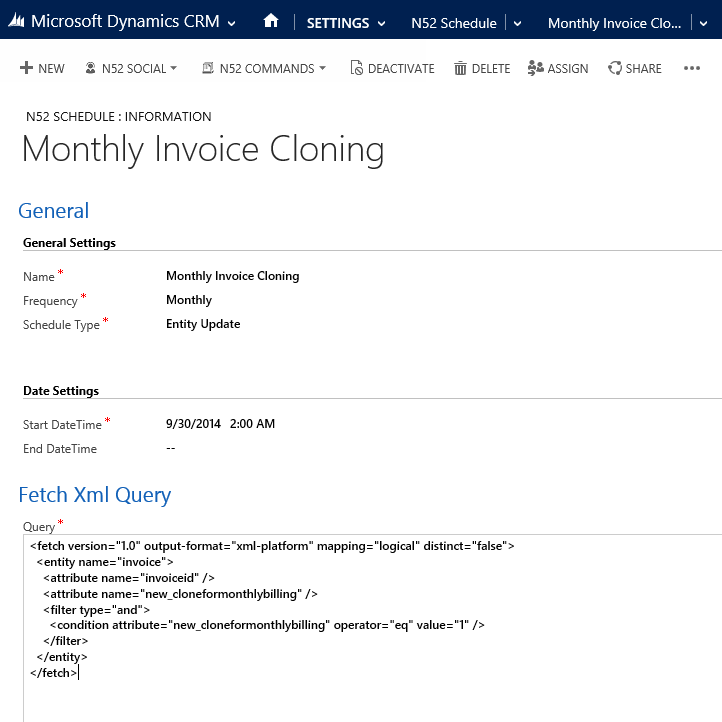 The scenario calls for us to setup in the CRM system template Invoices which can be cloned each month. Please see below the wizard you can use to create the Clone() function call used in this formula. 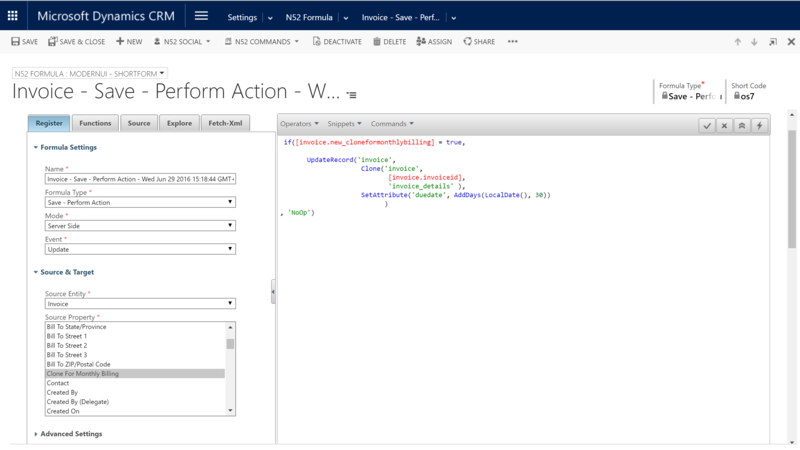 Please see below the wizard you can use to create the AddDays() function call used in this formula. 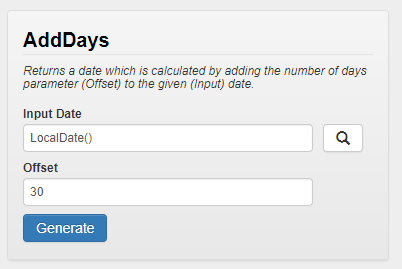 You will need to search for the function "LocalDate" in the function tab or type it in.